As a parent I know how cherished your children and your memories of them are. At the same time I understand how the pressures that come with school, travel, work, and after school activities can make it difficult for you to make a photography session a priority. You want to document your children as they grow and change but with the day to day demands of life their childhood seems to be passing by in the blink of an eye. I understand how important your memories are as much as I understand how sometimes booking a photography session becomes “one more thing” to do rather than something to look forward to and enjoy. I am as passionate about the photographs I create as I am about making my photography sessions fun, stress-free, and an experience you look forward to. Let me worry about all the details and planning so that you don’t have to! All families have different visions for their photography sessions. Some families prefer natural poses while other families are looking for more playful and candid photos. One of the things my clients tell me again and again is how much they appreciate that I listen to their requests and preferences and plan their session around what is most important to them. My clients appreciate my creativity as much as my organization and efficiency: after photographing over 2500 sessions I have both the experience and expertise to make our time together as fun and productive as possible. As a mom of three boys, including one who has special needs, I pride myself on connecting quickly and easily with my littlest clients. Clients tell me that one of their biggest concerns is how their children will react during a session. Thanks to our client welcome package, we help parents prepare their children for the session and I am ready with a bag of tricks (quite literally) up my sleeves. I am good friends with the whole Paw Patrol gang and even Peppa pig has been known to make an appearance during my sessions. My clients are reassured that no matter what their child’s mood or temperament, they will have beautiful memories of their family from our time together. The Extraordinary experience is a wonderful opportunity for families who would like a wide variety of poses and combinations of both the candid moments as well as in timeless portraits. These sessions are for immediate family members (parents and their children) and take place outdoors on weekdays or weekday evenings. Sessions are 30 minutes in length. The session fee ($599) includes 12 edited, retouched, and artistically enhanced digital files of your choice in colour and black & white as well as 5 complimentary gift prints of your choice or one 16x20 wall art print. Contact me directly to book your session. The perfect length for family photos, sibling photos, an individual photo of each child, as well as photos of parents together or of each child with their parents. The focus of the session can be on posed portraits or candid moments: the choice is yours. Sessions are for immediate family members (parents and their children) and are 15-20 minutes in length. Outdoor Memories Sessions are offered during the Spring, Summer, and Fall on a select number of weekend and evening dates and are booked online via my monthly VIP list. You can see a schedule of upcoming outdoor Memories sessions here. Studio Memories Sessions can be scheduled in studio on weekdays throughout the year and allow for one backdrop and one outfit. Studio sessions can be booked here. The session fee ($345) includes 8 edited, retouched, and artistically enhanced digital files of your choice in colour and black & white as well as 3 complimentary gift prints of your choice or one 11x14 wall art print. Ideal for families who book multiple sessions during the year and for those that enjoy unique and creative backdrops for their photos. Typically these sessions are best for either an updated family and sibling photograph or as a session for just your children. Sessions are for immediate family members (parents and their children) and are 10 minutes in length. The session fee ($225) includes 3 edited, retouched and artistically enhanced digital files of your choice in colour and black & white as well as 2 complimentary gift prints of your choice. Moment Sessions are for the most part only available as part of a Front of the Lens package. A small number of sessions are available for individual bookings (Spring Studio, Winter Wonderland, Sunsets & Silhouettes). *Prices do not include HST. Session length, price, and included digital files/prints will depend on the nature of the session. Front of the Lens packages are perfect for families who want priority booking (guaranteed space in my schedule), updated photos throughout the year, and enjoy unique and creative backdrops for their photos. These packages are a way to pre-purchase your Moment and Memories Sessions for the year and enjoy all of the benefits that come along with being a Front of the Lens client. Moment Sessions (10 minutes) are offered on select weekend and evening dates throughout the year and can only be booked by Front of the Lens clients as the shorter length means these sessions work best for families who visit me often. These sessions are a wonderful opportunity to celebrate milestones, holidays, and for regular family and sibling photos. You can see the schedule for 2019 Moment and Memories Sessions here. The best part? We take responsibility for contacting you about upcoming sessions and sorting out all your session details: all you have to do is show up and have fun! Not sure which package is the right fit for your family? We are happy to help you pick! Create your own package with 3 or more sessions. Front of the Lens packages are only on sale from January to July every year and can be booked via my online boutique. Curious about what it’s like being a Front of the Lens client? "What I love most about the Front of the Lens package is how easy Sara and Brenda make the whole process. Before the session is released to the public Brenda sends an e-mail with the session details and is quick to respond to any questions I have or a time if I wish to book. I love knowing that my family will have photos taken each season and I will not have to worry about getting in touch with a photographer to make those arrangements." “What they say is so true about raising children...time goes by fast. The Front of the Lens Packages allows me to capture my child throughout the year as he grows and then, when I view past photos, it evokes many fond memories of that particular phase in his development. I love the unique photo backdrops (inside and outdoors). I know Sara spends lots of effort in creating each backdrop/setting and is always looking for new ideas. This allows a great variety of photos, not only for ourselves but also to be shared with those grandparents." 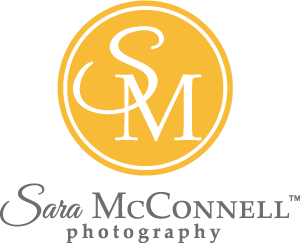 "I love being able to plan my pictures for the year by knowing that Sara reserves space in her schedule for her Front of the Lens clients. I don't have to worry about having my heart set on a session and being disappointed when it sells out. I love how Sara knows how to make everyone in my family feel at ease. I always walk away from sessions with Sara knowing that memories have been made and captured. That's a double win in my books."